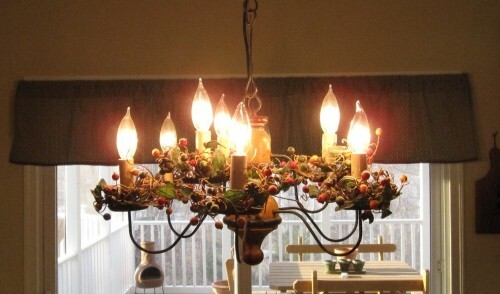 Beautiful Country Living Kitchen Chandelier. This 8 light chandelier will be a perfect addition to your home. 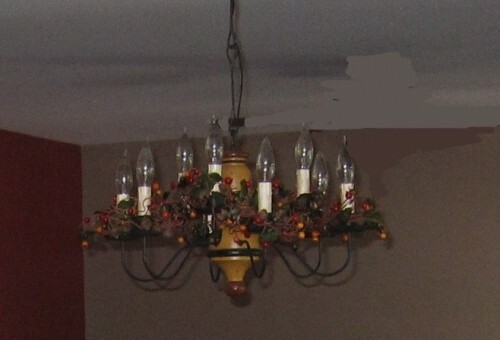 It includes the wooden base, drop chain, and 8 light fixtures which hold B-type light bulbs.